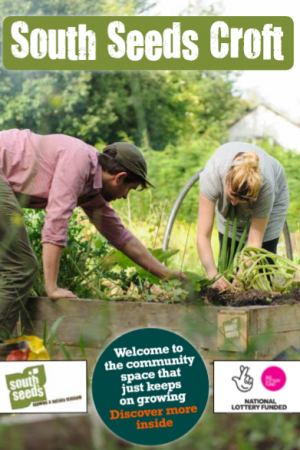 Find out how five of our Crofters found their experience of adopting a bed for the 2017 growing season. 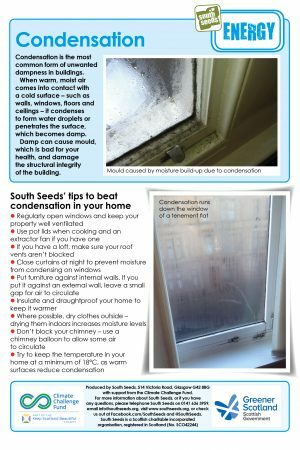 Condensation a common form of dampness, can be prevented. 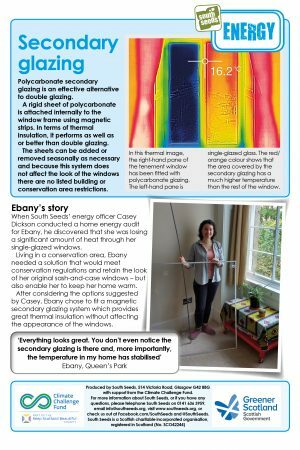 Our factsheet explains why it occurs and how you can prevent while remaining aware of your energy consumption. Secondary glazing is an effective alternative to double glazing and can be removed in the summer. 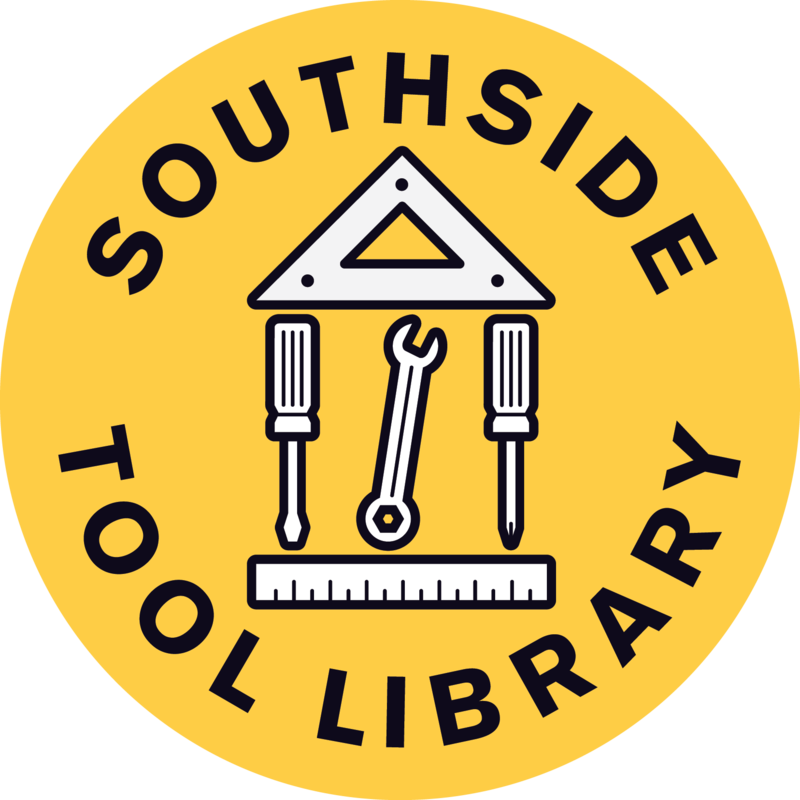 Find out what it is made of and how to fit it in our factsheet. 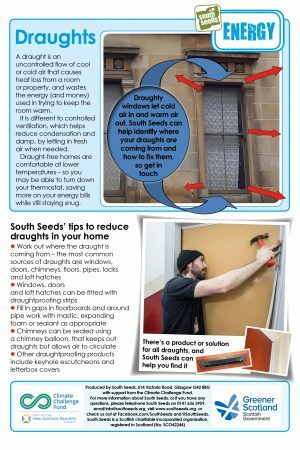 How do draughts differ from ventilation and where would you find them in a Victorian sandstone tenement? 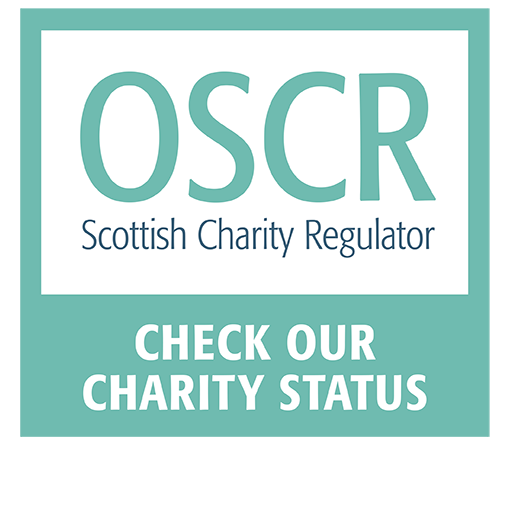 Check out our factsheet. 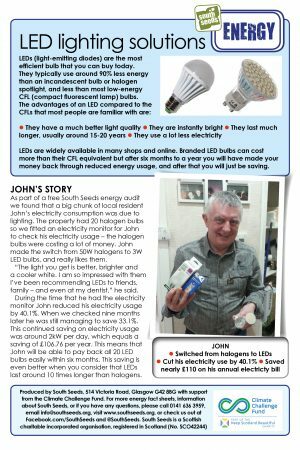 This factsheet explains how you can save money by changing your lightbulbs to LEDs. A chimney balloon can stop warm air being sucked out of your home. 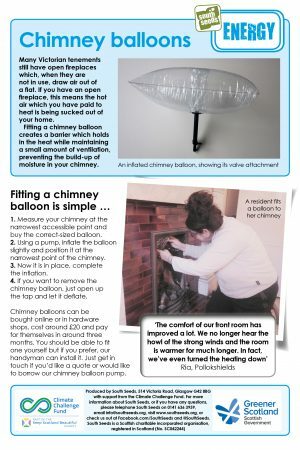 Check out our chimney balloon factsheet. 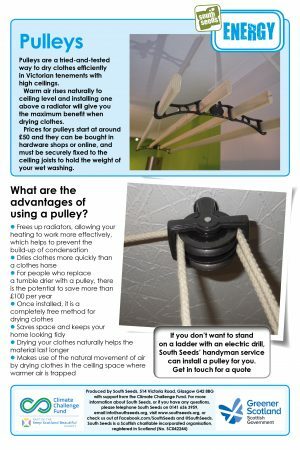 Our pulley factsheet explains why a pulley can save you money on your energy bill and why they fit so well in tenement flats. Check out our factsheet. 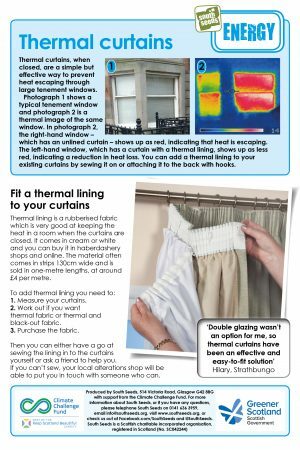 Check out our thermal curtains fact sheet and find out how easy it is to line your existing curtains with thermal fabric.